This week we’ll be looking at some artists with connections to Christmas. Currier and Ives was a successful American printmaking firm in the late 1800’s and early 1900’s. The business was headed by Nathaniel Currier and James Merritt Ives and was based in New York City. our artwork of the week is the Currier and ives print, Winter Morning in the Country. The Currier and Ives prints showed a variety of scenes from American life. Their winter scenes became very popular at Christmas. They are still found on Christmas cards, dinnerware, and used in many ways at Christmas. YouTube video - A Currier and Ives Sleigh Ride (winter scenes) 1:46 min. 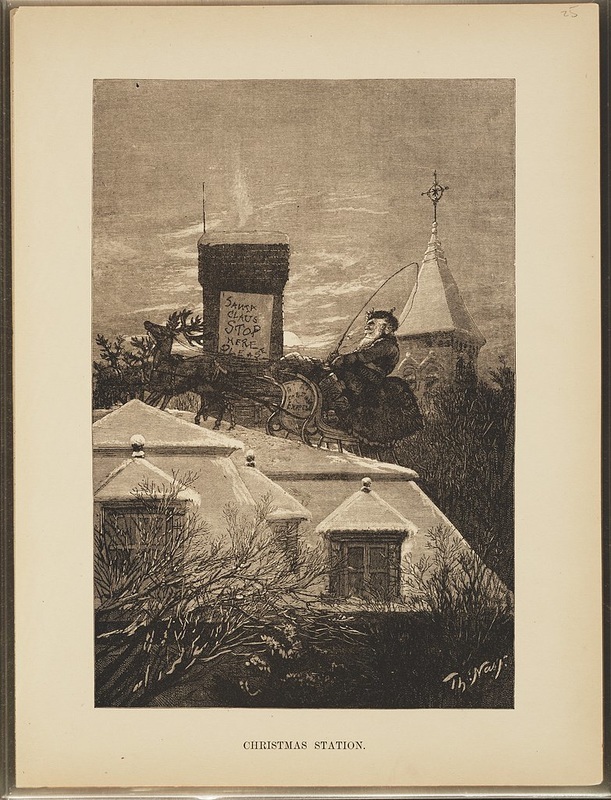 Click on the image to hear the part of Sleigh Ride that mentions Currier & Ives. The Currier and Ives winter scenes are even mentioned in a popular Christmas song called Sleigh Ride. 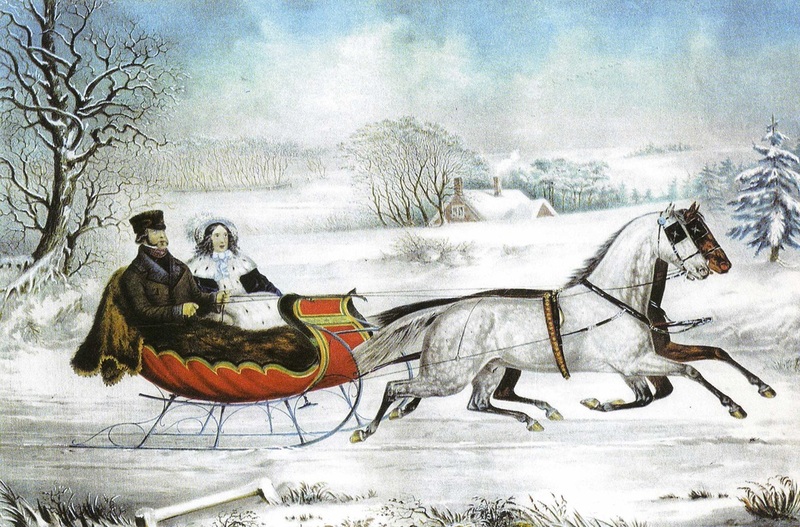 ​This video gives us a look at some of the winter scenes that made Currier and Ives famous. Thomas Nast is another artist associated with Christmas. 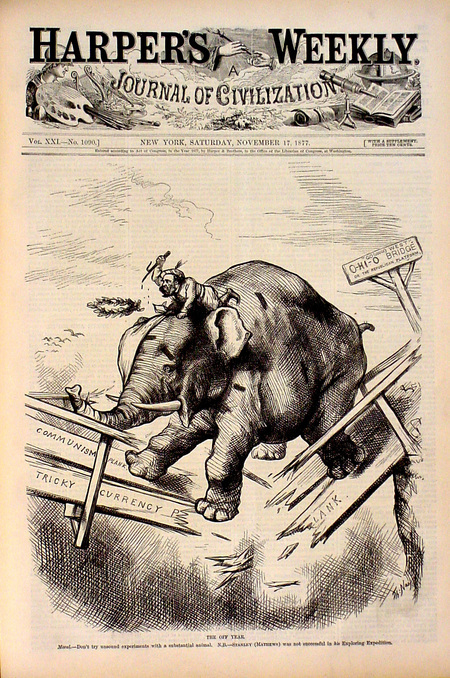 ​Thomas Nast was a American political cartoonist in the mid-1800’s. Cartoons and illustrations were his art forms. Nast is credited with creating the elephant as the symbol for the Republican party. Just as landscape artist Constable liked to paint scenes from his home area, Thomas Nast often used his own hometown neighborhood as a backdrop for his Santa drawings. Many of his drawings show his town’s church spires below Santa’s sleigh. 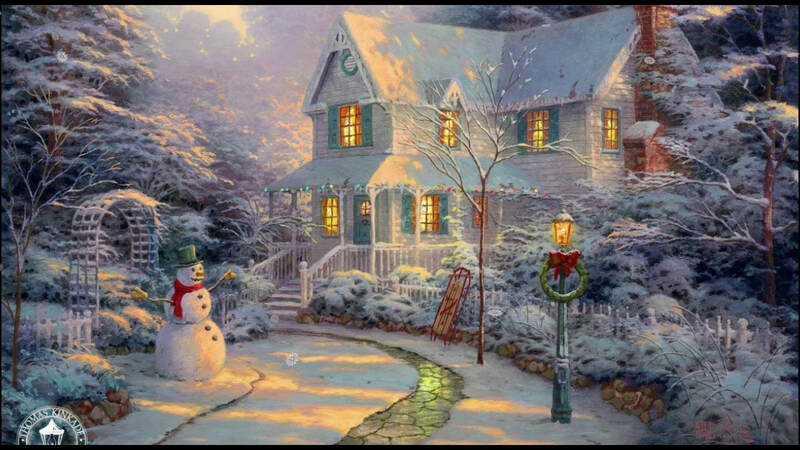 Thomas Kinkade is an American artist who painted many popular Christmas scenes. His nostalgic scenes of beautiful settings have been popular with many people. He was born in 1958 and died in 2012. ​The scenes Kinkade paints are idealistic. Remember, idealistic means imagining something as better or more perfect than it actually is. All of Kinkade’s paintings show charming, pretty scenes. Some of Kinkade’s favorite settings to paint were gardens, streams, and stone cottages. Country churches were also one of Kinkade's favorite subjects. Many of the street and snow scenes he portrayed were inspired by his hometown, just as Thomas Nash also made drawings based on his hometown. Many of Kinkade’s settings are from a by-gone American era. Thomas Kinkade's paintings portrayed pleasant places people would like to be. Kinkade said he wanted to place an emphasis on the value of simple pleasures in his paintings. He also wanted to communicate inspiring messages and a sense of peace. Many art critics did not like Kinkade’s paintings and considered them overly sentimental. 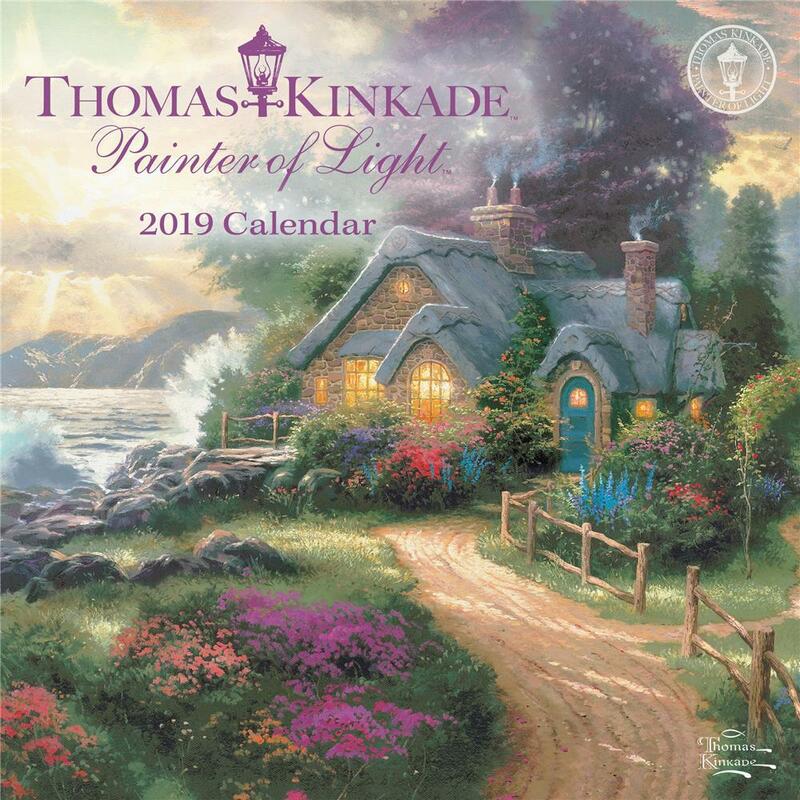 However, Kinkade’s work has been very popular with people. 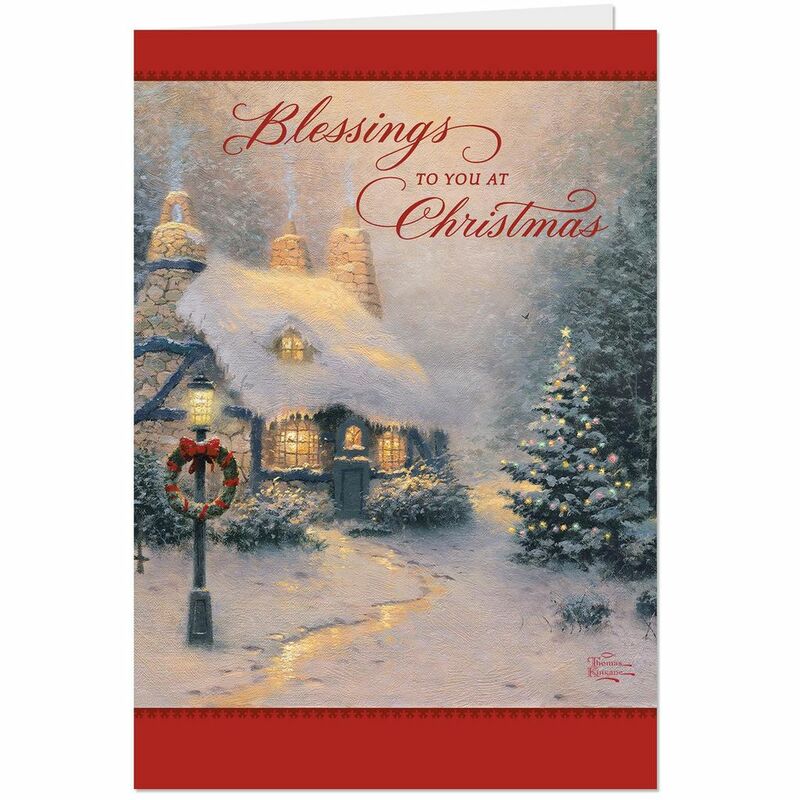 Kinkade is known for mass marketing his paintings as prints, posters, calendars, and many other products, such as Christmas cards. In 1931, the Coca-Cola company wanted to place ads in popular magazines that featured a friendly, kind Santa Claus. Illustrator Haddon Sundblom took the job. Sundblom read descriptions of Santa from the poem "A Visit from St. Nicholas". He changed Thomas Nast's drawings of Santa to a warmer, jollier, and pleasantly plump Santa. Sundblom's Santa first appeared in The Saturday Evening Post. 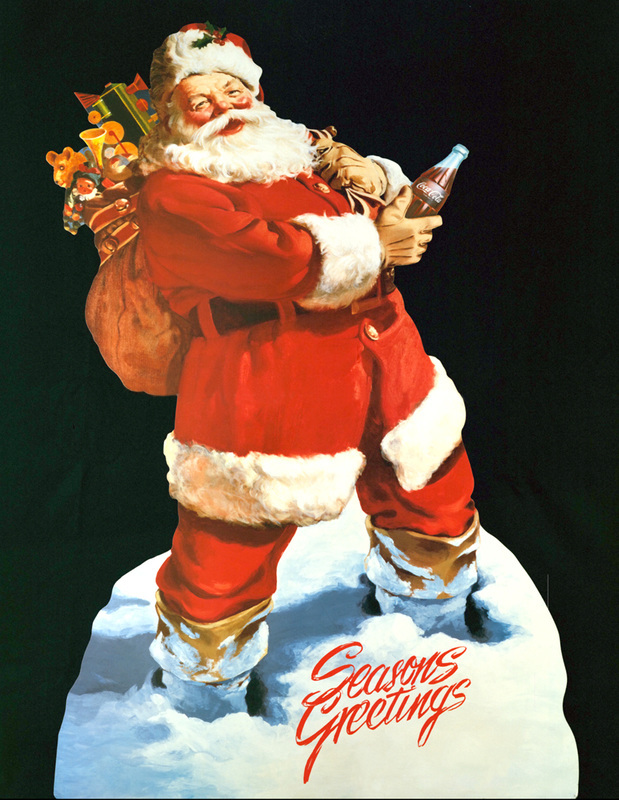 ​From 1931 to 1964, Sundblom created advertising illustrations for Coca-Cola featuring his Santa Claus paintings. These ads appeared in many magazines, such as National Geographic, Ladies Home Journal, and The New Yorker. 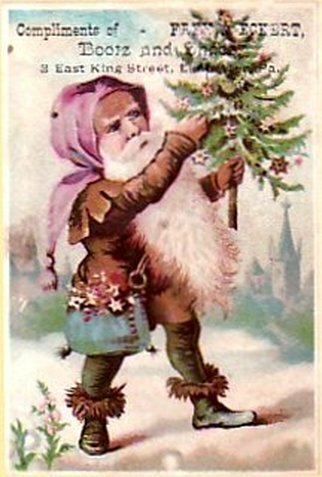 Sundblom's Santa also appeared on billboards, calendars, and posters. Sundblom painted his final Santa Claus illustration for Coca-Cola in 1964. Sundblom's Santa Claus paintings have been exhibited in museums all around the world. The paintings are prized pieces in the Coca-Cola company's art collection which is displayed at their World of Coca-Cola site in Atlanta, Georgia. An Academy Award-winning animator, Alexandre Petrov, created a commercial for Coca-Cola in 2001 based on one of Sundblom's illustrations. YouTube video - Coca-cola animated commercial - 31 sec. YouTube video - Legend of Coca-Cola and Santa Claus 2:55 min. The birth of Jesus, which is celebrated at Christmas, has been a favorite subject for artists throughout the years. Each artist portrays his or her own interpretation of the birth of the Christ Child in a manger which is told about in the Bible. This Italian painting is from 1423. It shows the visit of the Magi, or Wise Men. The artist applied lots of gold in his painting to show the importance of those involved. Notice that the Magi came on horses, not camels, in this painting. 1440/60 The Adoration of the Magi by Fra Angelico and Fra Filippo Lippi - National Gallery of Art in Washington, D.C. This 1526 painting, Adoration of the Child is by an Italian Renaissance artist, Coreggio. Coreggio was known for his use of chiaroscuro. This nativity scene was painted by one of our Artists of the Week, Caravaggio, probably in 1600. It shows his talent for creating emphasis using lights and darks. The painting was stolen from a church in Palermo, Sicily in 1969 and has never been recovered. This 1612 painting is by another past Artist of the Week, El Greco. It shows El Greco's typical elongated figures and dramatic color and atmosphere. ​The painting is housed in Spain, the country where El Greco did most of his painting. Rembrandt painted this nativity scene in 1646. Rembrandt also painted many other scenes from the Bible. This painting, like most of his others, draws the viewer's eyes to the most important people in the painting through the use of light and dark. John Singleton Copley was an important American painter during colonial days. 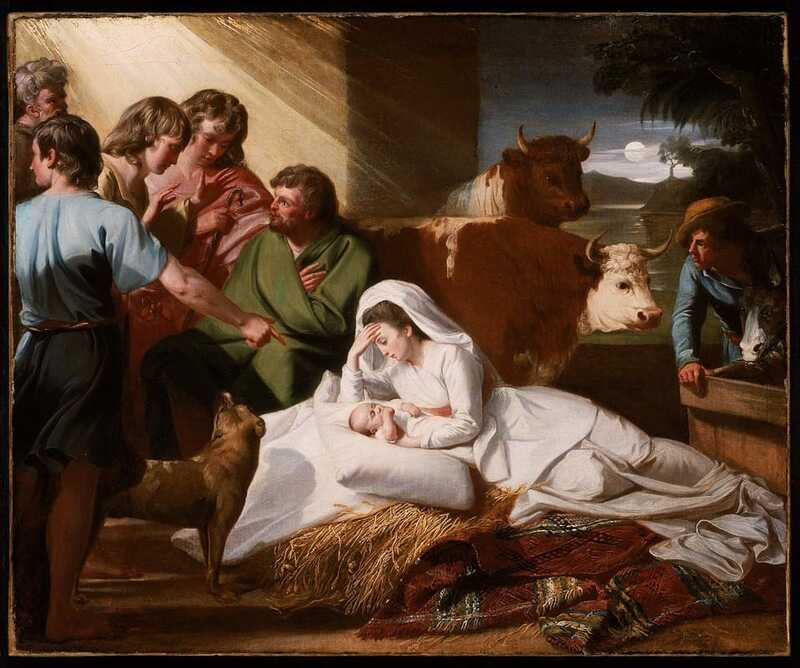 This 1776 nativity scene reflects the realistic painting tradition Copley used. The shepherds' clothing looks more historically accurate, but the man on the right appears in Colonial dress. The whiteness of Mary and the baby surrounded by darker color, draws attention to those figures. 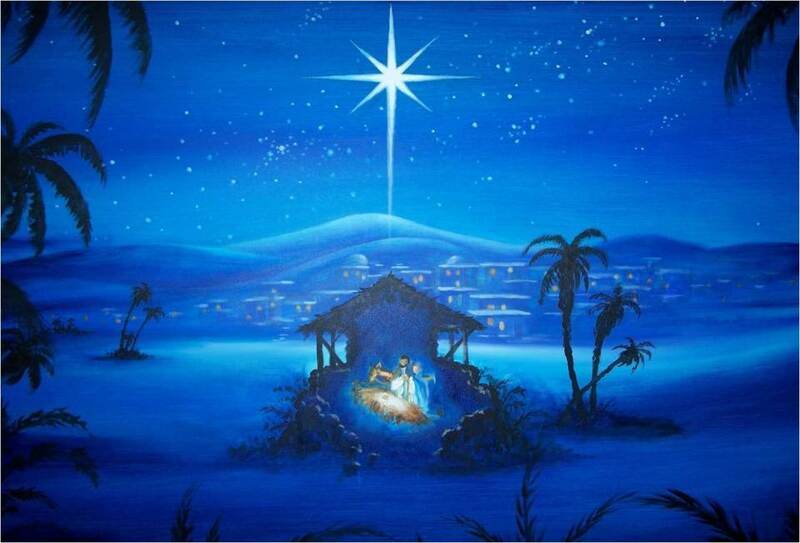 The nativity is depicted through many other art mediums besides paintings. This 1857 stained glass window of the nativity is in a cathedral in Chester, England. ​"Coca-Cola Christmas: The 60S". Campaignlive.co.uk. N. p., 2016. Web. 14 Dec. 2016. ​Company, Our et al. "The True History Of The Modern Day Santa Claus". The Coca-Cola Company. N. p., 2016. Web. 14 Dec. 2016.